"One booth to Control them all ..."
The Control 2015 is on – and we are right in the middle of it! As a part of the Fraunhofer Vision "contactless measurement" we are proud to present our ultra wideband sensor technology to a wide audience. 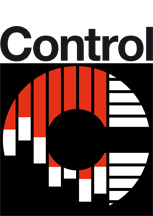 Dated 5th to 8th may the Control 2015 fair will be held in Stuttgart, Germany. You will find us at stand 1602 in hall 1 where we will showcase our technology carter, the m:explore, that will also be our very first product. If you would like to learn more about the m:explore and the Ilmsens GmbH just visit us at the fair or take a look at our homepage. Find some information about the Control 2015 and the Fraunhofer Vision below. We are excited to meet you! The Control is an international leading trade fair for quality assurance and establishes an additional information-, communication- and business-value through the presentation of the latest technology for quality assurance in the sectors of measurement technology, testing of materials, analytical apparatus, optoelectronics, quality assurance systems and many more. It developed from a market niche to one of the most important business platforms in the last 30 years. Today it has cooperation’s with the Fraunhofer-Allianz Vision, IPA, ernva – European machine vision association and the Deutsche Gesellschaft für Qualität (DGQ) and gives more than 900 exhibitors from 32 and 26.000 visitors from 92 countries the opportunity to connect and present themselves and take a look at the future of quality assurance technologies of tomorrow.